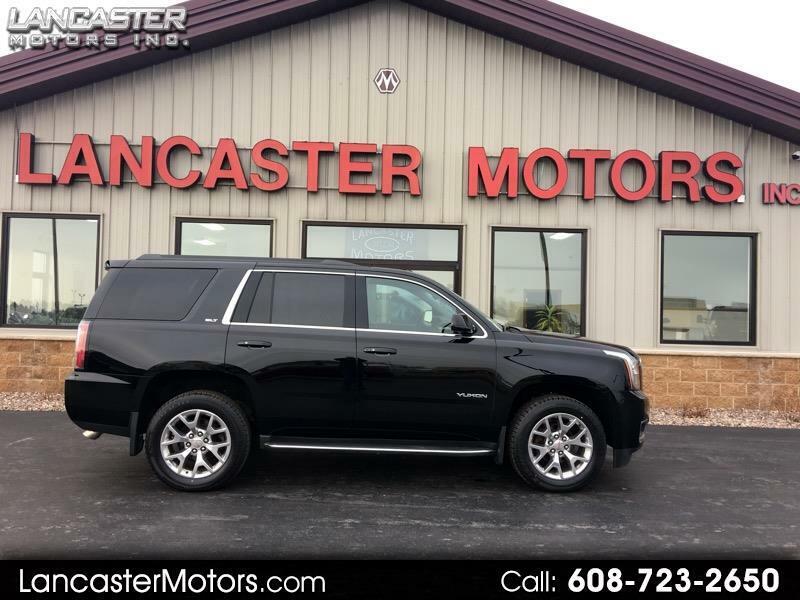 Used 2015 GMC Yukon SLT-2 4WD for Sale in Lancaster WI 53813 Lancaster Motors Inc. Excellent one owner off lease vehicle. Extra clean with new tires and 8 passenger seating, power moonroof, navigation,DVD, . Bring the family in and check it out.